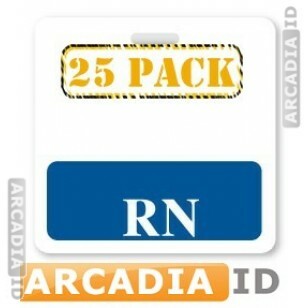 25 packs of badge buddies in RN (registered nurse) style. 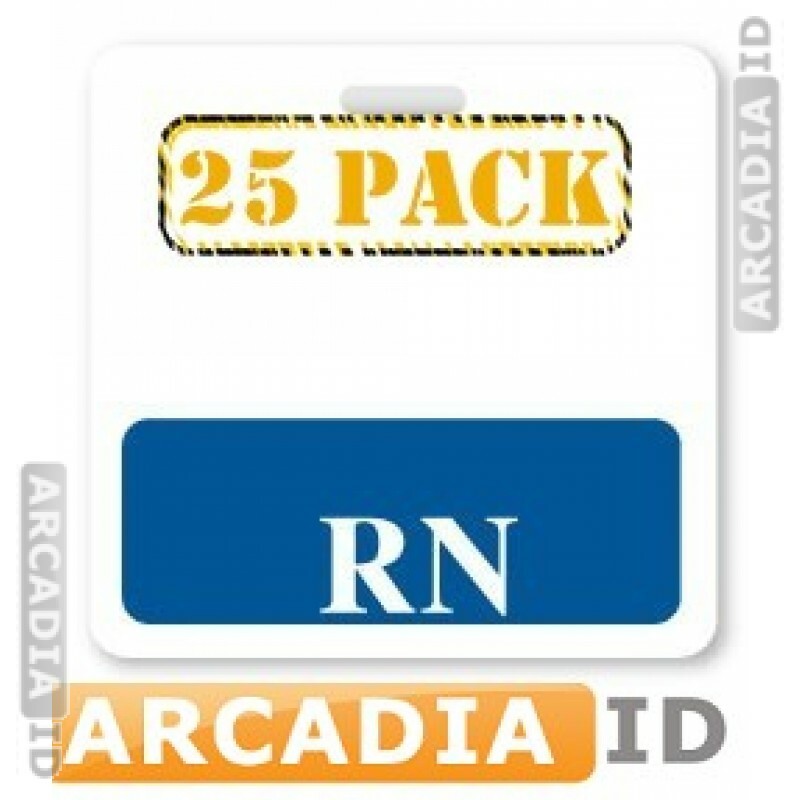 Easily slot these into your existing ID badges to provide additional information to make identification even quicker. For our other great photo ID supplies and more take a look around the rest of the site. For the best quality and prices count on ArcadiaID.